Meanwhile, reports of what Fed rate hikes will mean for consumers were released prior to the FOMC statement. Real estate analyst Mark Hanson said that a rate hike would “crush” housing markets, which continue to improve slowly in spite of the current 0.00 to 0.25 percent federal funds rate. Last Friday’s report on June sales of new homes shows unpredictable progress in housing. Analysts estimated that new home sales would reach 550,000 units based on May’s reading of 517,000 new homes sold. June’s reading came in at 482,000 units sold. The Federal Open Market Committee of the Federal Reserved announced as part of its post-meeting statement that it would not immediately increase the federal funds rate. 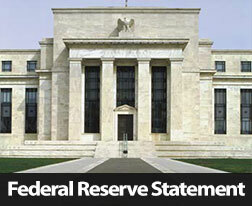 The FOMC statement cited concerns over the inflation rate, which remains below the Fed’s goal of 2.00 percent. According to the statement, the FOMC will not move to raise the federal funds rate until the committee is “reasonably confident” that inflation will achieve the committee’s goal of 2.00 percent over the medium term. No prospective dates for raising the target federal funds rate were given. The FOMC statement repeated language included in previous statements indicating that committee members anticipate that economic events could further postpone increases in the federal funds rate. The FOMC statement asserted that committee members continue to monitor domestic and global financial and economic developments as part of the decision-making process for raising the target federal funds rate. FOMC members agreed that policy accommodation may be required “for some time” after the committee’s dual mandate of maximum employment and 2.00 percent inflation have been achieved. This suggests that FOMC members are not in a hurry to boost rates when economic uncertainty remains. In terms of housing markets, the Fed’s decision not to raise rates likely caused a sigh of relief as rate increase would have caused consumer interest rates including mortgage rates to rise. When decorating a small space, there is a general desire to make the space look and feel larger than it is while also meeting basic functional needs in the room. For example, there may be a need to accommodate seating for a group of people in a living room, but there also may be a desire to provide ample space for foot traffic so the area does not feel cramped. By following a few important tips, it is possible to furnish smaller spaces so that they are functional and do not feel cramped. One of the most common factors that will make a small space seem cramped and uncomfortable relates to clutter, and because of this, focusing on storage solutions can go a long way toward making the space feel larger than it is. Storage solutions can be decorative, and they can be a true benefit to the décor in the room. Think about functional storage features like an ottoman with hidden storage features, an entertainment center with cabinets and shelves or a tall bookshelf that can hold many of the items that are needed in the room. For most people, there is a general inclination to decorate a room horizontally and to fill the floor space with furnishings, but this can be detrimental when decorating a smaller room. In a smaller space, decorating the space vertically by using bookshelves, storage cabinets and other features that rise above the ground rather than that sprawl across the ground can be beneficial. The goal should be to decorate the room fully while leaving ample space for foot traffic to maneuver through the room comfortably. Darker colors used in a smaller room can make the space feel closed off and cramped. Using lighter colors can brighten the space and make it seem more airy. While using shades of white and beige throughout a space may not be ideal in all rooms, these can be incorporated into various aspects of the décor to improve the spacious feel of the room. Smaller spaces can be challenging to decorate, but there are different tips and tricks that can be used to make the space look and feel larger than it is. Some tips help improve the functional use of the space, while others simply play tricks and create the illusion of space. All can be used together to create the feeling of a larger, more inviting room. Savvy home buyers who are preparing to make a real estate purchase should do their research and understand that they need to save money for not only the down payment, but the closing costs as well. The closing costs can account for as much as three to five percent of the sales price in some cases, so this can be a rather sizable amount of money. 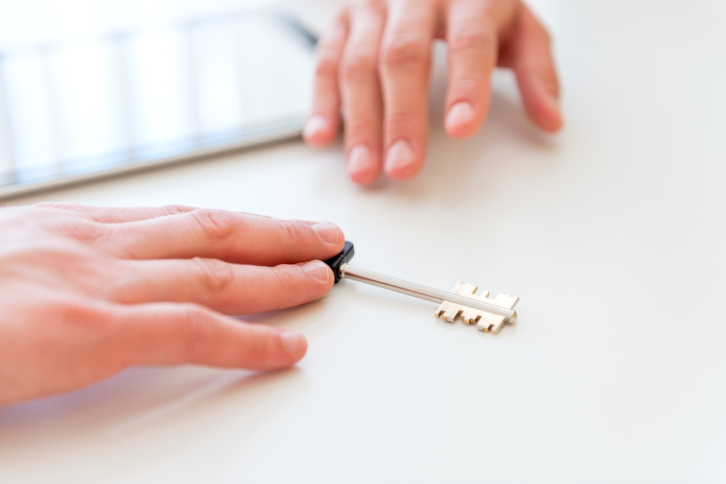 Some home buyers however, may not realize that the amount of closing costs can vary considerably based on the home that is purchased. With a closer look at why this is, home buyers can make a more educated decision when selecting a home to purchase. 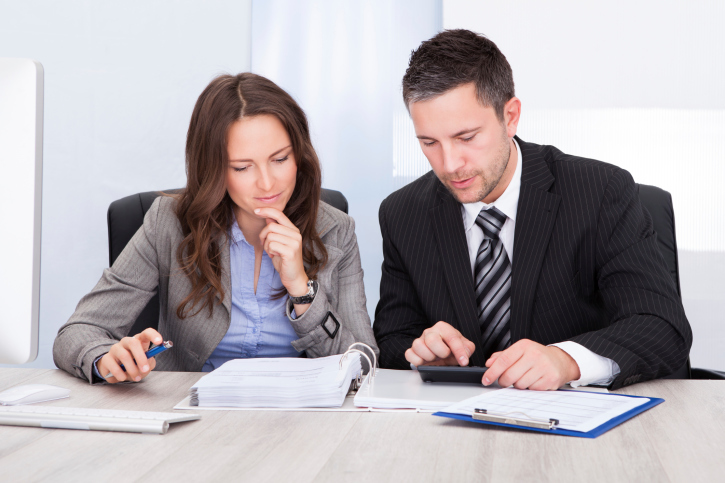 One of the most significant closing costs relates to prepaid taxes and insurance, and both of these expenses are directly tied to the location and value of the property. Consider that the property tax rate can vary based on the city, county, and state. Real estate insurance can also vary based on the type of construction of the home, if the home is located in a flood plain, and other factors. These are only a few examples of how the location and property type can impact these fees, and home buyers should consider the costs assoicated with the tax rates and insurance when selecting a property to purchase. 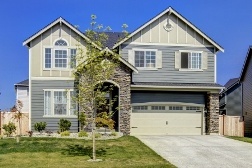 The location, size, age and construction of a property all impact the closing costs. Those who are shopping for real estate may be inclined to make a decision that keeps closing costs down, and they can reach out to their knowledgeable real estate professional for more assistance with their particular situation. Each real estate market is unique in various ways, and your local real estate agent can help you to become more familiar with the trends in your community. For example, in some areas, it may be common for a seller to pay for at least a portion of the buyer’s closing costs, but this may not be common practice in other areas. While each market may be unique, there are some common trends that you can expect to be rather widespread across many communities throughout the rest of the year. In recent years, it was rather common for buyers to take their time researching the market and comparing various listings. There was a feeling that financing would continue to be affordable and that home prices would remain relatively low in many markets due to economic conditions. However, the economy has generally rebounded and market conditions in many areas have improved. There is an increasing feel of urgency in buyers to make a purchase sooner rather than later in order to lock in a great deal. Many younger adults have notably been sitting on the sidelines and have not been buying real estate at the same level that previous generations did in their 20s and younger 30s. However, as overall real estate market conditions have improved as well as other economic factors like the employment rate, consumer confidence and more, younger buyers are increasingly finding the confidence to move forward with their first home purchase. In recent years, it was common for some sellers to list their home for sale based on the amount they owed on their mortgage or their general belief in property value without giving much consideration for market conditions. This may have been out of financial need, a general belief that their property value did not decline significantly even when markets plummeted and more. However, because market conditions have dramatically improved, you will find that the list prices on many properties are much more realistic. Real estate agents keep a pulse on the trends in your local market, and their insight and guidance can be invaluable to you as you search for a property, structure an offer and walk through the rest of the home buying process. If you are preparing to purchase a home in the coming year, you can begin looking for a friendly and helpful real estate agent to assist you. The Commerce Department provided further evidence of stronger housing markets with reports on housing starts and building permits issued in June. Housing starts rose from May’s reading of 1.07 million to 1.17 million, which surpassed the expected reading of 1.11 million housing starts. May’s reading for housing starts was revised from 1.04 million to 1.07 million an annual basis. Construction of apartments and other multifamily housing complexes attained their highest level since 1987, which supports reported trends that millennials who prefer to live in larger cities are renting rather than buying homes. Housing starts gained nearly 10 percent between May and June. Would-be home buyers are also renting due to tighter mortgage approval standards; others may be “sitting on the fence” as they wait for further indications of stronger labor markets and improvements in overall economic conditions. Building permits issued in June supported trends in housing starts, with permits for multi-family housing units higher by 16. 10 percent and was the highest reading for multi-family building permits since 1990. Analysts said that the increase in multifamily building permits was in caused by the pending expiration of a tax credit for builders in New York State that was set to expire June 30. Permits for single family homes rose only 0.90 percent in June, to an annual pace of 689,000 but this was still the highest reading for single family housing permits since 2008. 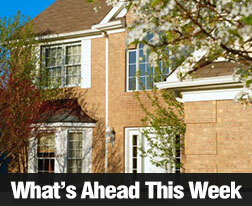 Freddie Mac reported that average mortgage rates rose last week. The rate for a 30-year fixed rate mortgage averaged 4.09 percent and was higher by five basis points. The average rate for a 15-year mortgage was also five basis points higher at 3.25 percent. The average rate for a 5/1 adjustable rate mortgage was up by three basis points to 2.96 percent. Discount points were 0.60 percent for 15 and 30 year mortgages and 0.50 percent for 6/1 adjustable rate mortgages. New jobless claims fell to 281,000 last week against the prior week’s reading of 296,000 new claims and an expected reading of 285,000 new jobless claims. Analysts said that the current reading indicates that last week’s spike in new unemployment claims was a false alarm. Seasonal anomalies and re-tooling at some auto plants were cited as causes for the prior week’s high reading. New jobless claims have remained under the benchmark reading of 300,000 since February for the longest consecutive period in 15 years. Last week’s reports ended with the University of Michigan’s Consumer Sentiment Index, which fell from June’s reading of 96.1 to 93.3; analysts expected a reading of 95.0. Scheduled economic reports for next week include new and existing home sales, and FHFA home prices along with weekly reports on mortgage rates and new jobless claims. Home builder confidence remained steady at the highest reading in almost ten years according to the National Association of Home Builders (NAHB) Wells Fargo Housing Market Index for July. The latest reading of 60 for the index was identical to expectations and June’s reading, which was revised to 60 from an initial reading of 59. The NAHB Wells Fargo Housing Market Index is based on readings of zero to 100 with readings over 50 indicating that a majority of home builders surveyed are confident about housing market conditions. July’s reading was the 13th consecutive month of readings above 50. NAHB chief economist David Crowe said that July’s reading is consistent with stronger markets for new and existing homes as well as job growth, but also noted builder concerns over obtaining lots for development and necessary labor at favorable prices. The monthly reading for housing market condition is based on three components. Two components showed improvement with the reading for current market conditions up one point to 66; the reading for housing market conditions in the next six months gained two points for a reading of 72 and the reading for buyer foot traffic in new housing developments lost one point for a reading of 63. 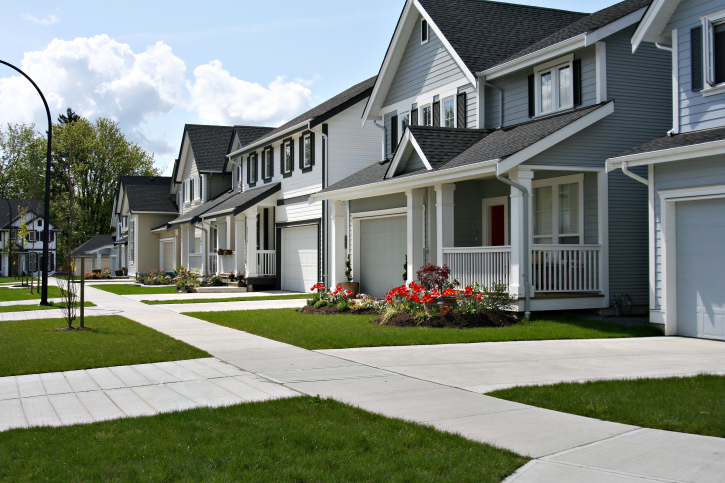 NAHB’s three month moving average of regional builder confidence showed gains of one point in the South for a reading of 61; the Midwest also reported a gain of one point to 55. 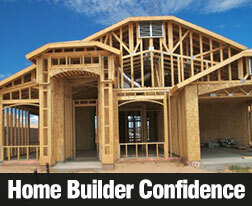 Builder confidence readings for the Northeast and West each gained three points to readings of 47 and 60 respectively. NAHB chairman Tom Woods said that based on current readings, housing markets should continue to improve throughout the second half of 2015. Economic analysts agreed with this assessment and noted that evidence suggests that housing markets are seeing a steady upswing. In unrelated reporting, the Department of Commerce is due to release reports on housing starts and building permits today. Many home buyers who are applying for their first mortgage will go to great lengths to research the options, learn more about loan terms and generally educate themselves about a process that they are unfamiliar with. Despite these common steps that rookie mortgage applicants make, they often make similar mistakes when applying for their first mortgage. By learning about these common mistakes, you can take steps to prevent making them yourself. Many first-time home buyers are overwhelmingly focused on setting up a mortgage payment that is affordable for their budget. While this is important, the mortgage payment is not the only expense associated with home ownership. For example, there are property taxes, insurance, repair and maintenance expenses, homeowners’ association dues and more. All of these expenses should be reviewed when you consider what mortgage payment is affordable for your budget. You should also think about short and long-term plans for your home ownership experience. Some will choose a long term or an adjustable rate to keep the payments low. However, they will not consider the fact that the payment will be in place until the home is sold or the loan is refinanced. It is not certain what mortgage rates will be in the future or if you may qualify for a great rate on a refinance loan in the future, so you should always ensure that you can maintain the payment structure for as long as needed. It can be intimidating to get pre-qualified for a home mortgage. Some may fear rejection or denial altogether, and some may estimate an amount they may qualify for without actually getting pre-qualified. This can backfire for you. The pre-qualification process helps you to learn the maximum loan amount you may qualify for and the payment for that amount, and this is sound, valuable information that can help you to make a more informed decision when selecting your home. As a first-time home buyer, you may be stressed about finding the right home to buy and researching the neighborhoods and schools. While these are all factors to pay attention to, you also need to focus heavily on your mortgage. Through these efforts, you can set up an affordable home loan that is comfortable for you to manage on your budget.